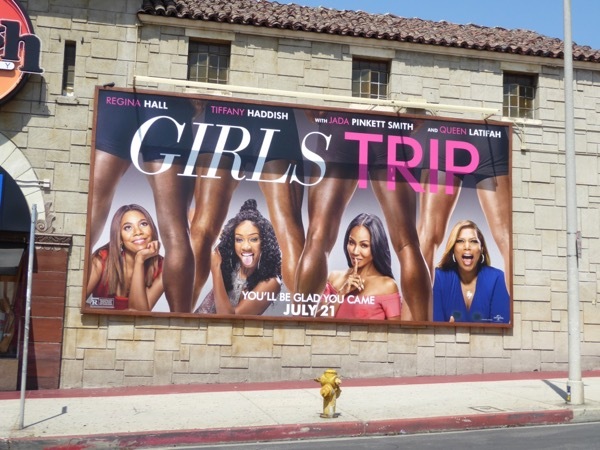 This weekend if you're looking for a little escapism from troubling world events, maybe a Girls Trip is just what you're looking for. 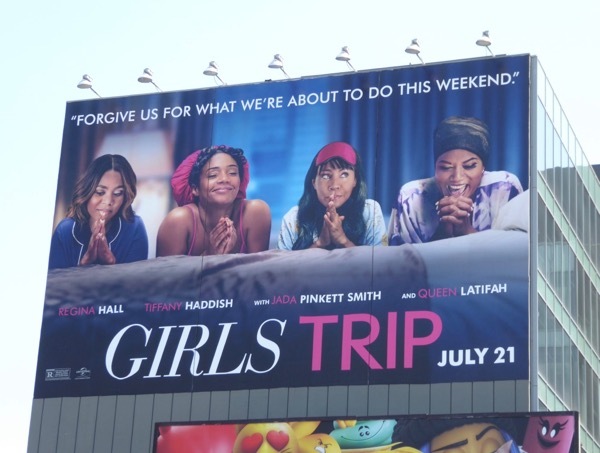 The raunchy R-Rated comedy stars Regina Hall, Tiffany Haddish, Jada Pinkett Smith and Queen Latifah as four lifelong college friends rekindling their bond by taking a walk on the wild side to the Essence Festival in New Orleans. We're not sure that the Big Easy is quite prepared for all the drinking, dancing and debauchery that's in store with these fab four ladies. 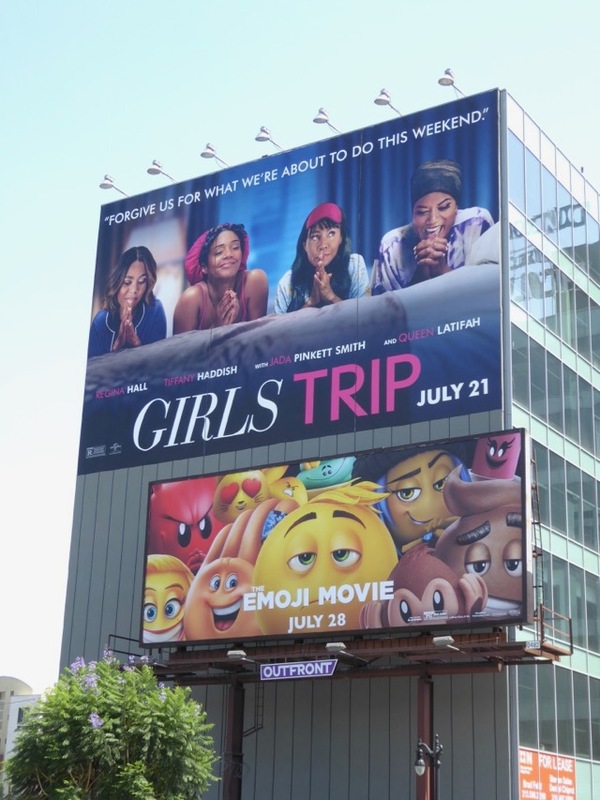 These fun movie billboards were snapped along Pico Boulevard, La Cienega Boulevard, Lankershim Boulevard and Highland Avenue from June 28 to July 10, 2017. 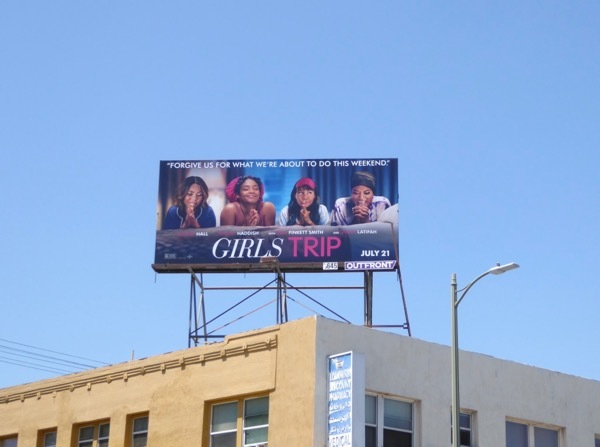 If you like the idea of a girls night out, then you may also enjoy these Magic Mike XXL movie billboards and this billboard for Vivica's Black Magic TV series. 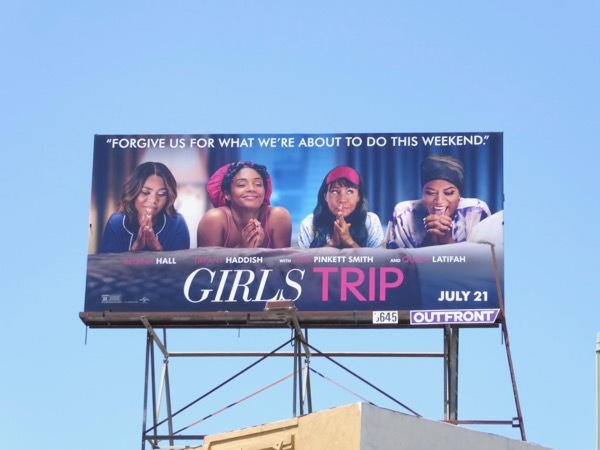 Meanwhile fans of Regina Hall can check out all these movie billboards, you can see Jada Pinkett-Smith in these Gotham TV billboards and admirers of Queen Latifah can enjoy these TV and film billboards she's starred in. 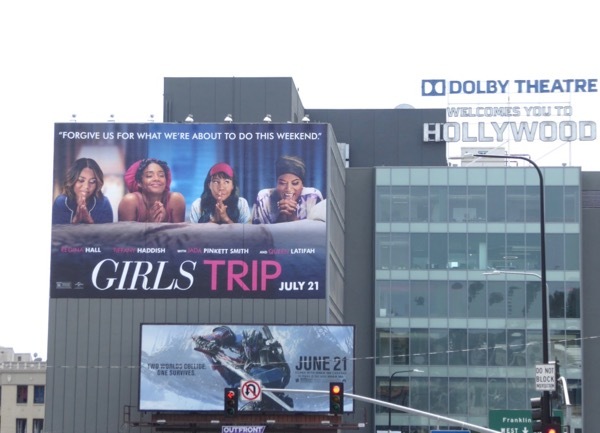 Daily Billboard forgives you for what you get up to the weekend, so let's hope you don't regret going to watch Girls Trip.